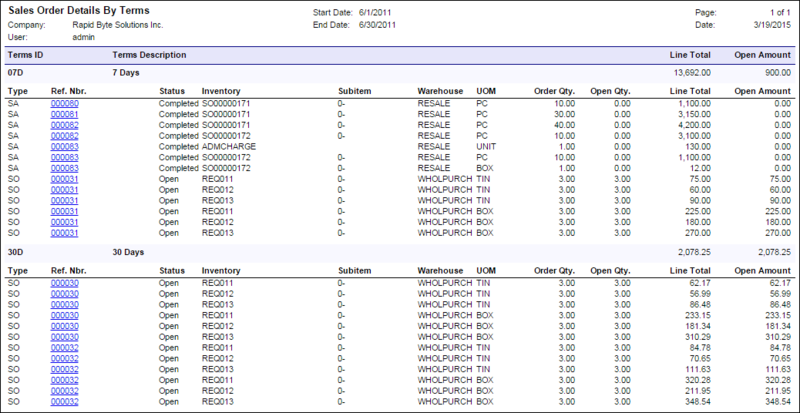 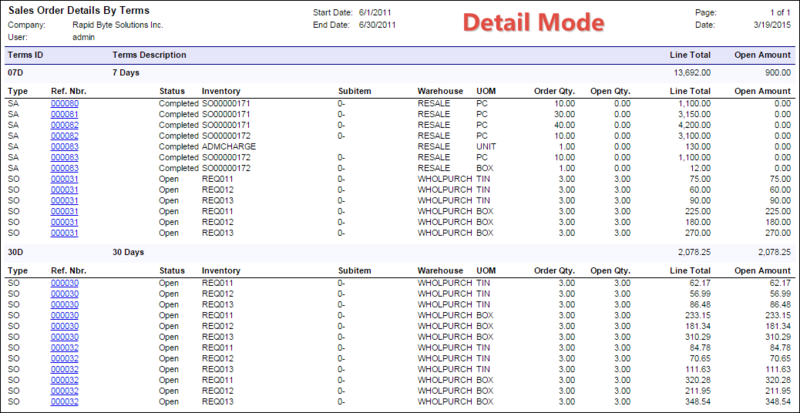 Sometimes it might be interesting to view your sales orders by the terms chosen on those orders. 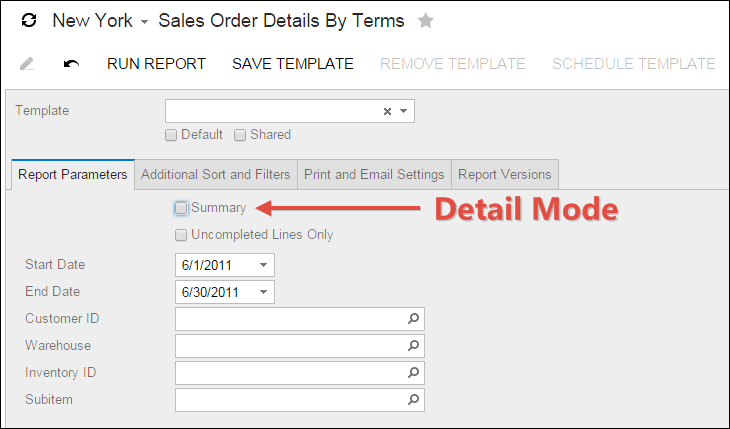 Getting an order from a customer is great, but did you agree to terms that will allow a few months to pass before you collect the cash? 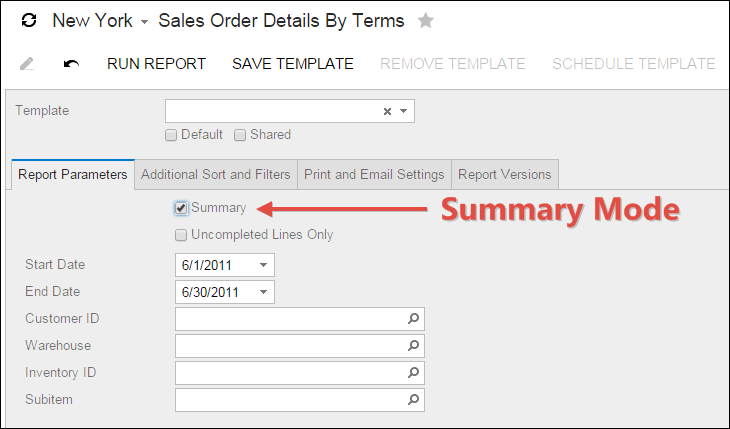 This report, the Sales Order Details By Terms report, groups your sales order lines by terms, allowing you to see totals by term.